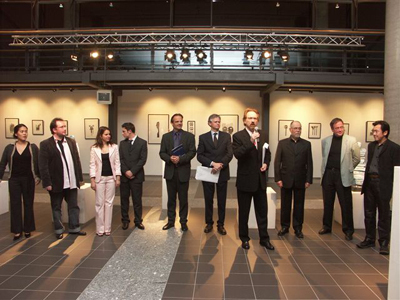 Composers of any age or nationality are invited to present new compositions for the ensemble Luxembourg Sinfonietta. The Luxembourg Society for Contemporary Music has invited composers from all over the world to compose new works for its third International Composition Prize. 134 composers applicants from 37 countries participated in the competition, the countries being Argentina, Austria, Belgium, Bolivia, Brazil, Bulgaria, Canada, Chile, China, Denmark, Estonia, Finland, France, Germany, Great Britain, Georgia, Greece, Hungary, Ireland, Italy, Japan, Korea, Luxembourg, Mexico, Moldavia, the Netherlands, New Zealand, Philippines, Poland, Portugal, Romania, Russia, Slovakia, Spain, Ukraine, Uruguay, USA. 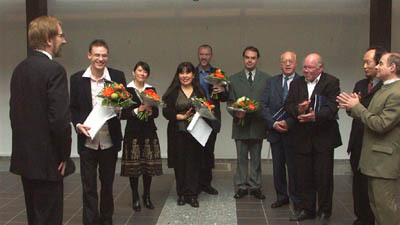 The international jury consisting of Violeta Dinescu (Romania), Volker David Kirchner (Germany), Garth Knox (Great Britain), Roger Tessier (France) and Marcel Wengler (Luxembourg) has chosen five works to be played in the final concert of the International Composition Prize Luxembourg 2004. 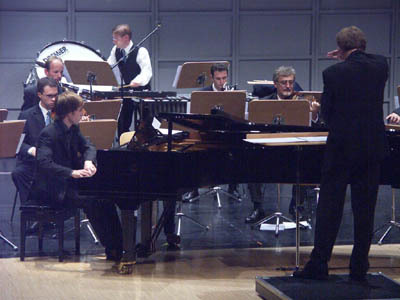 The selected compositions will be performed on Saturday, the 8th May 2004 in a public concert at the Centre des Arts Pluriels in Ettelbruck, Luxembourg. 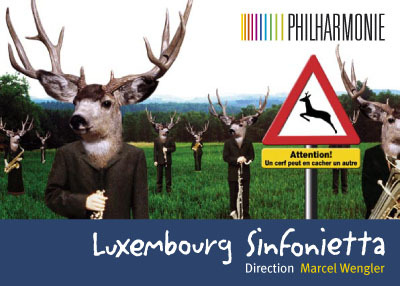 The Luxembourg Sinfonietta, under the direction of Marcel Wengler will appear in the following composition: clarinet, clarinet bass, alto saxophone, tenor saxophone, baritone saxophone, horn, 2 trumpets, tenor trombone, tuba, 2 violins, viola, violoncello, piano, mandolin, accordion, percussion. 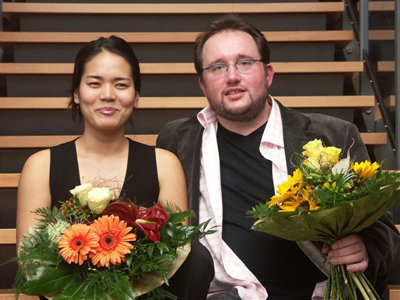 "Lëtzebuerger Gesellschaft fir Nei Musek"
Jules Krüger Variations sur "d'Margretchen"
en collaboration avec "les amis de la musique militaire asbl"
The Chilean composer Chañaral Ortega-Miranda won the first prize in the “International Composition Prize  Luxembourg 2004”. With his work Q’inti Ortega-Miranda won over the international jury in the face of competition from 134 candidates from 37 countries. Chañaral Ortega-Miranda was born in Arica, Chile in 1973 and exiled in France for the first six years of his life. Chañaral Ortega-Miranda began his studies of musical theory and composition in Buenos Aires from 1989 to 1993. In this latter year, he settled in France and continued his studies in the composition class of Sergio Ortega until 2000. 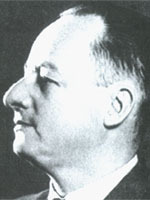 He participated in several festivals: “Musiques à l’encre fraîche” from 1993 to 2000; the Acanthes Centre, where he worked with Jonathan Harvey, Michael Jarrell, Zoltan Jeney and Peter Eötvos; the composition Session at the Foundation Royaumont  Voix Nouvelles under the direction of Brian Ferneyhough, Brice Pauset and Stefano Gervasoni. 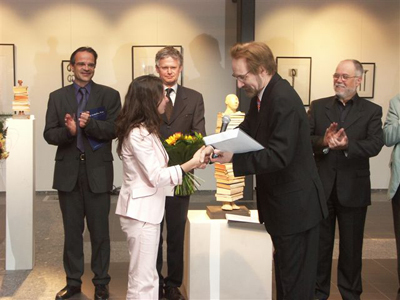 The second prize was awarded to the Chinese composer Lin Wang, who had written a work entitled Lin Lang for the Luxembourg Sinfonietta. Lin Wang, born 1976 in China, studied at the Composition Faculty at the Central Music Conservatory in Peking. 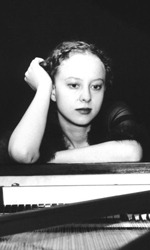 In 1997, she received a scholarship, followed by brief study in Avignon where she attended the masterclass of Sofia Gubaidulina. 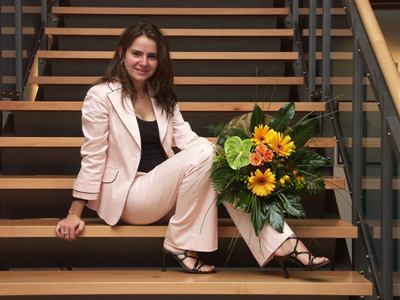 Since 2002 she studied composition as main subject under Professor Theo Brandmüller at the Conservatory of the Saarland. 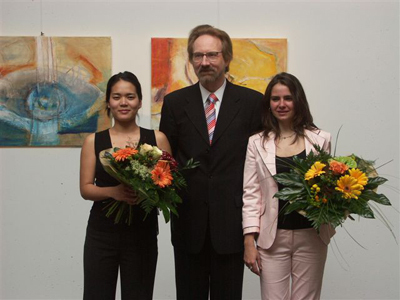 She was awarded a prize in the competition “New music with historic instruments” at the Mönchengladbach Festival with the piece for chamber music entitled Dong Xiang Xie Yi. The third prize was for the work Fireworks by the Japanese composer Satoru Ikeda, who was born in 1961 in Hamamatsu City. He took his M.A. 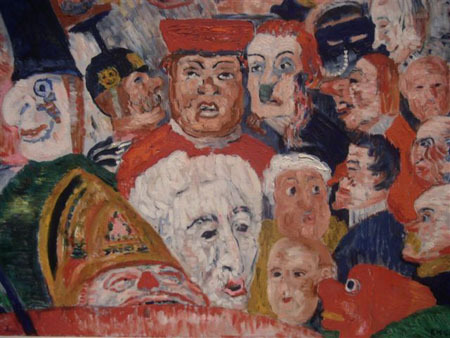 in composition in 1987 at the Tokyo National University of Fine Arts and Music. Satoru Ikeda has won several awards, including the first prize in the Japan Music Competition in 1988, an award from the Japan Symphony Promotion Foundation in 2000 and an award in the Orchestral lied competition in 2001. A Special Prize was awarded by the audience to Lin Wang. 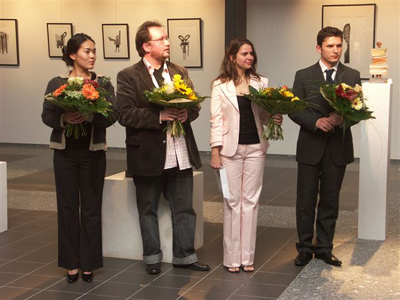 The Orchestra Award was presented to Satoru Ikeda by the musicians of the Luxembourg Sinfonietta. 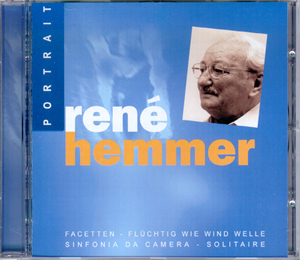 The LGNM  Luxembourg Society for Contemporary Music celebrates the 85th birthday of the composer René Hemmer. The Luxembourg Society for Contemporary Music has invited composers from all over the world to compose new works for its annual International Composition Prize. 163 composers from 44 countries participated in the competition, the countries being Albania, Argentina, Armenia, Australia, Austria, Azerbaijan, Belgium, Bolivia, Bosnia and Herzegovina, Brazil, Bulgaria, Canada, Chile, China, Croatia, Cyprus, Czech Republic, Denmark, Finland, France, Germany, Great Britain, Greece, Hungary, Israel, Italy, Japan, Korea, Lithuania, Malta, Mexico, the Netherlands, Norway, Poland, Portugal, Republic of Belarus, Romania, Russia, Spain, Sweden, Taiwan, Turkey, Ukraine and USA. 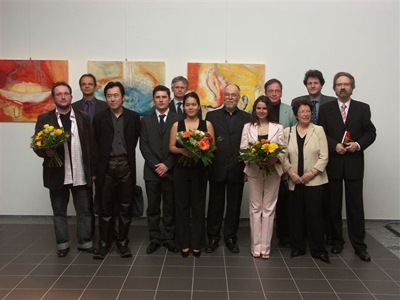 The international jury consisting of Klaus Arp (Germany), François Bousch (France), Jean-Luc Darbellay (Switzerland), Toshiro Saruya (Japan) and Marcel Wengler (Luxembourg) has chosen five works to be played in the final concert of the International Composition Prize Luxembourg 2005. 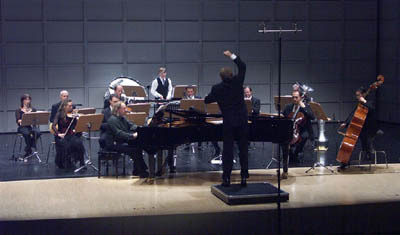 The selected compositions will be performed on Saturday, the 16th April 2005 in a public concert at the Centre des Arts Pluriels in Ettelbruck, Luxembourg. The Luxembourg Sinfonietta, under the direction of Marcel Wengler will appear in the following composition: clarinet, clarinet bass, soprano saxophone, alto saxophone, horn, 2 trumpets, tenor trombone, tuba, violin, violoncello, piano, mandolin, accordion and percussion. A Special Prize was awarded by the audience to Cristina Pascual. Cristina Pascual was born in Barcelone, Spain, in 1971. She studied architecture at the “Universidad Simon Bolivar” in Caracas. Her formal composition and orchestration studies began in Madrid in 2001 at the “Real Conservatorio Superior de Madrid” under Anton Garcia Abril, Zulema de la Cruz, Manuel Seco de Arpe and AlfonsoRomero. At the same time she worked on acoustics and building restoration. She has studied under Volker Stenzl, Frank Fernandez, Reinhard Febel and Darlen Blake. 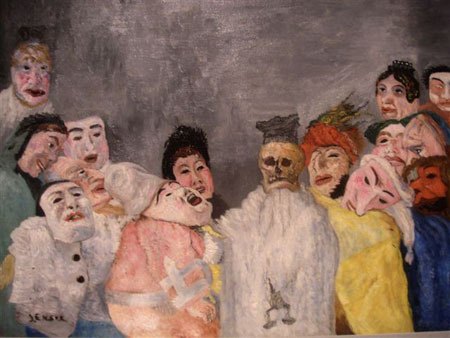 In july 2003 she was invited by the “Teatro Real de Madrid” to take part in the Pierrot Lunaire workshop with Isabel Mundry, Daniel Barenboim and Peter Musbach. She is currently completing her fourth year of composition studies in Karlsruhe, Germany, under the composer Wolfgang Rihm, on an Erasmus scholarship. Ezequiel Menalled was born in Buenos Aires, Argentina, in November 1980. He startet learning the guitar at the age of 9 with Pablo Green. Since then he has kept that as his main instrument, studying different styles with several teachers. From 1996 until 1999 he studied at the Centre of Advanced Studies in Contemporary Music (CEAMC). In 2000 and 2001 he took private lessons in composition with Santiago Santero. Since September 2002 Ezequiel Menalled has been studying composition at the Royal Conservatory in The Hague, with Clarence Barlow, Gilius van Bergeijk and Diderik Wagenaar. He is taking part in the project Bezeilde Zijd organized by the Nieuw Ensemble, working periodically with the group on sketches of a new piece to be premiered on 23 April 2005 in Amsterdam. 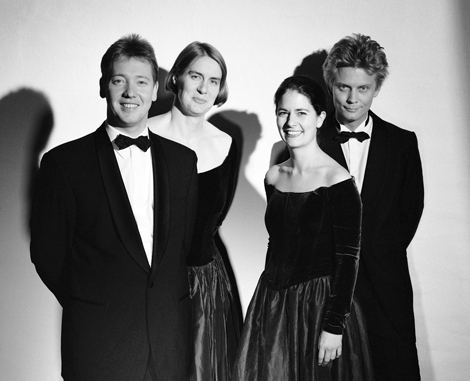 In 2000, the Arditti String Quartet selected and performed his composition “First diurnal for string quartet” in the competition organised in Buenos Aires by the above mentioned group and the CEAMC. Maiko Nakao was born in Okinawa, Japan in 1981. She started her musical training by playing the piano at the age of four years. She was seventeen years old when she started music theory and composition under the direction of Hideo Fukutomi, professor at the Okinawa prefectural art university. After graduating from high school in Okinawa in 2000, she decided to go to the United States. While attending Salt Lake Community College, she took music theory classes and participated in the college choir. In 2002, she obtained admission to the University of California at Santa Barbara, where she studied composition with Karen Tanaka, orchestration with Jeremy Haladyna and electronic music with Curtis Roads. In June 2004, she graduated from UC Santa Barbara with a bachelor’s degree in music composition. Currently Maiko Nakao is persuing a master’s degree in music compostion at the University of Missouri-Kansas City and has thus far studied with Dr. Paul Rudy. Frank Zabel was born on 14 October 1968 in Meinerzhagen/Germany. He finished school in 1988 with the German Abitur. He was taught piano (Robert v. d. Beck) and violin/viola (Lieselotte Doecke, Karin Schmidt) at the Volmetal Music School. 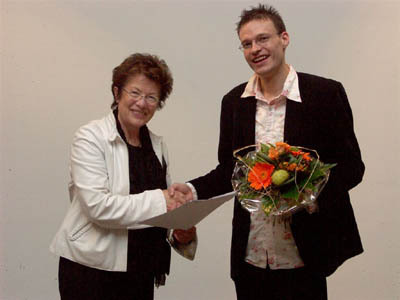 In his teens he received various national youth prizes in composition and took lessions in composition with Prof. Theo Brandmüller and Prof. Martin Christoph Redel. 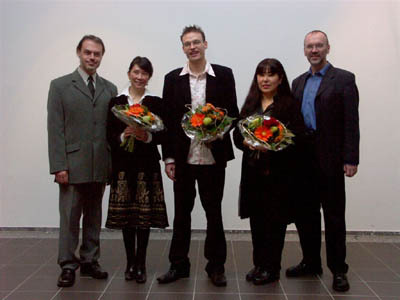 Since 1990 Frank Zabel studied at the Hochschule für Musik in Köln with Prof. Pi-hsien Chen (piano), Prof. Friedrich Jaecker (musical theory) and Prof. Roland Löbner (musical theory). Since 2001, he has been a professor at the Robert-Schumann-Hochschule in Düsseldorf. His compositions have been played at various festivals in Europe, the USA and Japan. 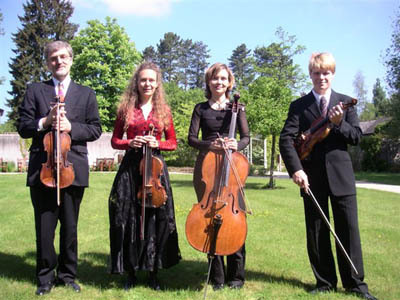 He has had compositions commisisoned by the WDR (West German Broadcasting Service, Cologne), Deutscher Bundestag (German Parliament), Minguet String Quartet and many others. In 2004 he wrote a cycle of Shakespeare songs for countertenor Andreas Scholl. Remembering that Luxembourg is a tiny country of fewer than half a million people, its MIC website puts several of the larger countries’ to shame. Inevitably the databases involved are smaller than some other countries, allowing for simpler navigation to brief composer biographies. Works are reached through a separate search form. 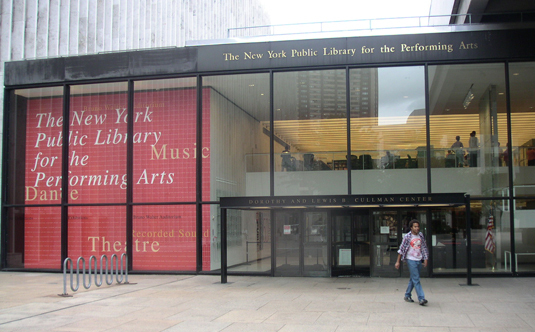 An archive of Society for Contemporary Music activities dating back to 1998 is included, as well as catalogues of documentation and recordings available. For 33 years, Pan Music Festival has towered the landscape of Korean contemporary music. Since 1969, Pan Music Festival has introduced the world-wide contemporary music and grown up to the leading contemporary music festival with many composers and performers from various countries. 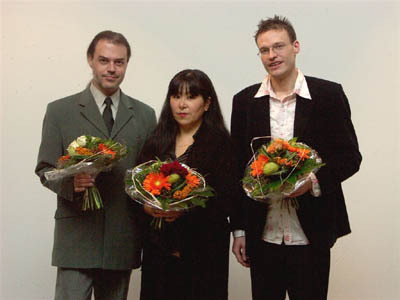 TRIO HAAN, specialized in contemporary music performance, had its first concert in 1995. Since its foundation, through its annual concert and numerous invitation performances, the group has given strong impression on the music world, premiering many compositions both domestic and abroad. 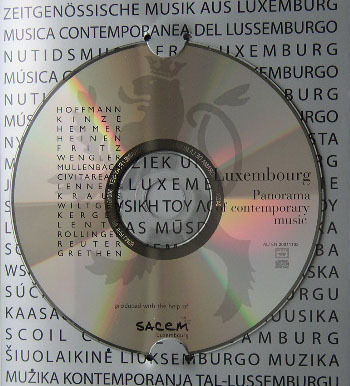 The Luxembourg Sinfonietta performs world-premières by Georg Graewe and Günter Steinke (Germany), Boudewijn Buckinx (Belgium) and Anthony Fiumara (The Netherlands). Composers of any age or nationality are invited to present new compositions for solo piano and the ensemble Luxembourg Sinfonietta. This international Festival has presented a review of selected contemporary works from Austria, Belgium, Czech Republic, Germany, the Netherlands and Luxembourg. The event was organized by the Czech Philharmonic Orchestra with the cooperation of the Luxembourg Embassy to Prague and with the support of the Luxembourg Society for Contemporary Music. 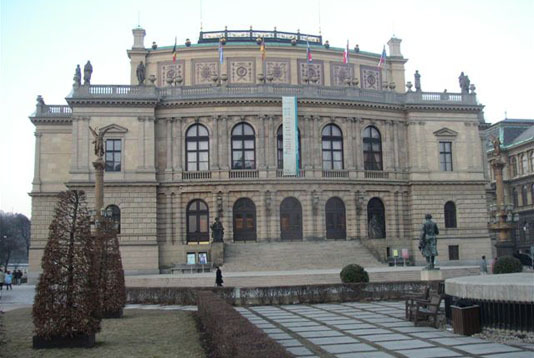 The first review of selected contemporary works, entitled Prague Premieres, focusing on current trends in Czech music and initiated by professor Václav Riedlbauch, General Director of the Czech Philharmonic, was held in 2004. We’ve had support from foreign music publishers and institutions who’ll be working with us to provide the music scores, in particular: from Germany, Schott, Bärenreiter, Ricordi, from Austria Universal Edition, Doblinger and the Mica Information Centre in Vienna, Donemus in the Netherlands, CeBeDem Belgique and the Music Information Centre in Luxembourg. The “Prague Premieres” is by today still a young but already firmly established event in the world of contemporary music, with a wide European and international participation. I am particularly pleased that the 2006 festival will focus on the composers and performers from neighboring nations, furthering in this fashion a platform where public and professionals can meet over a most intensive period of seven days. I hope that the unique atmosphere of Prague will help inspire future cross-border cooperation and an even more interactive European contemporary musical scene. I wish the festival, its public, its performers and composers, as well as its organizers many moments of musical bliss, as well success and recognition for their truly groundbraking initiative. The Luxembourg Society for Contemporary Music has invited composers from all over the world to compose new works for its annual International Composition Prize. 126 composers from 41 countries participated in the competition, the countries being Argentina, Australia, Austria, Belgium, Bolivia, Brazil, Bulgaria, Canada, Chile, China, Croatia, Czech Republic, Denmark, Finland, France, Germany, Great Britain, Greece, Hungary, Ireland, Israel, Italy, Japan, Korea, Lithuania, Luxembourg, Mexico, the Netherlands, New Zealand, Norway, Romania, Russia, Spain, Sweden, Switzerland, Taiwan, Tatarstan, Turkey, Ukraine, USA and Venezuela. 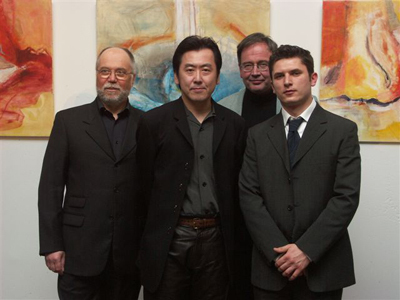 The international jury consisting of Theo Brandmüller (Germany), Jay Gottlieb (USA), André Laporte (Belgium), Seungwoo Paik (Korea) and Marcel Wengler (Luxembourg) has chosen five works to be played in the final concert of the International Composition Prize Luxembourg 2006. 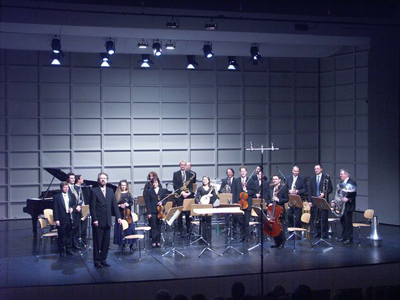 The selected compositions will be performed on Saturday, the 14th October 2006 in a public concert at the Centre des Arts Pluriels in Ettelbruck, Luxembourg. 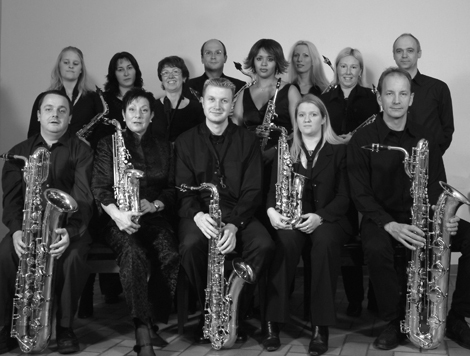 The Luxembourg Sinfonietta, under the direction of Marcel Wengler will appear in the following composition: clarinet, bass clarinet, alto saxophone, tenor saxophone, horn, tuba, 2 violins, viola, cello, doublebass, mandolin, accordion percussion and piano-solo. Une séance «Musique et Poésie» où seront présentées des pièces musicales créées sur des poèmes. A Special Prize was awarded by the audience to Barnaby Hollington. Alexander Shchetynsky was born in Kharkiv, Ukraine in 1960. He graduated from the composition department of the Kharkiv Art Institute and participated in masterclasses with L. Andriessen, E. Denisov, W. Lutoslawski, K. Penderecki, P. Rouders and B. Schaeffer. 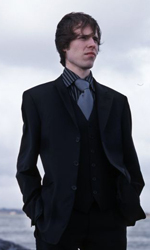 He received awards at six international composer’s competitions in Austria, France, Poland, Russia and Switzerland. 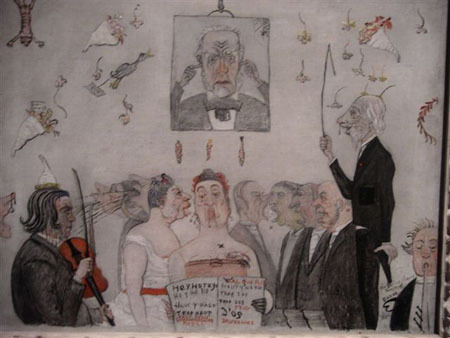 His works have been presented in most European countries and North America, performed by the Moscow Helikon-Opera, the BBC National Welsh Orchestra, the Warsaw Philharmonic Orchestra, the choir Maîtrise de Radio France, the Arditti String Quartet, the Moscow Contemporary Music Ensemble, Ensemble Wiener Collage, the pianist Yvar Mikhashoff, the soprano Phyllis Bryn-Julson and the cellist Alexander Rudin. Two of his CDs were released in the USA and France. Alexander Shchetynsky taught composition at the Kharkiv Art Institute. 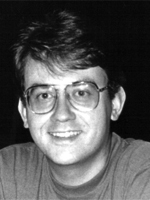 Since 1995, he has been a free-lance composer. He is one of the leaders of the festival Contrasts in Lviv  the biggest and most prestigious international contemporary music festival in Ukraine. Maki Nakajima was born in 1965 in Japan. She studied piano in Tokyo at the Kunitachi College of Music with Hiroko Kashu and in Geneva, Switzerland at the “Institute Jacques Dalcroze” with Christianne Montandon. 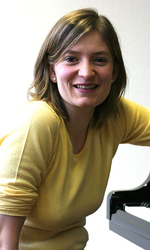 Here she studied piano improvisation with Rainer Boesch, Christianne Montandon and David Dolan. Maki Nakajima also studied composition at the “Conservatoire National Supérieur de la Musique et de la Danse” in Lyon, France with Philippe Manoury, Marco Stroppa, Robert Pascal and Rainer Boesch. She attended composition seminars with Jonathan Harvey, Klaus Huber, George Crumb, Gérard Grisey and studied electro-acoustic music with Denis Lorrain, François Roux, Rainer Boesch and Nicolas Sordet. Maki Nakajima was semi-finalist in the “Concours International de Composition Reine Elisabeth” in Belgium She is currently a professor of music formation for dancers at the “Conservatoire National Supérieur de la Musique et de la Danse” in Lyon. Das Cid-femmes gab der Komponistin Albena Petrovic-Vratchanska den Auftrag, ein Werk speziell für Jugendliche und Kinder zu schreiben. 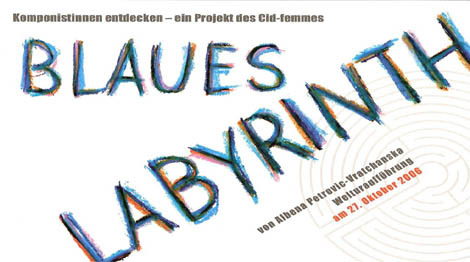 Entstanden ist … Blaues Labyrinth…, ein Zyklus von 15 Solo- und Ensemblestücken. Die jungen Musikerinnen und Musiker arbeiten an einem Workshop-Wochenende mit der Komponistin persönlich an der Interpretation des Werkes.